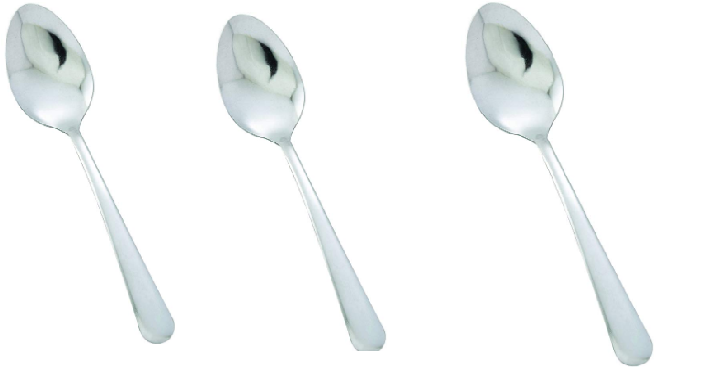 Winco 18/0 Stainless Steel Dinner Spoons, Set of 12 Only $2.47! #1 Best Seller! Need new spoons? Here is a steal of a deal! Amazon has the Winco 18/0 Stainless Steel Dinner Spoons, Set of 12 for only $2.47! This is a #1 Best Seller with great reviews. I feel like I could always use more spoons. The Windsor pattern 12-piece dinner spoon set is lightweight and ideal for everyday use. Keep in mind, Amazon pricing can change at any time! Don’t wait to purchase this deal or it might be gone when you come back!